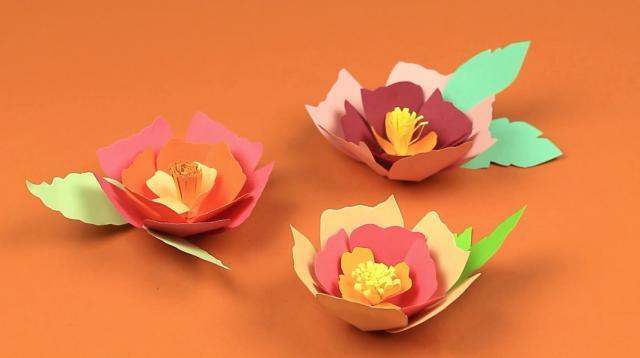 How to make paper flower decorations. In today's tutorial we'll show you few beautiful paper craft ideas. You can use these DIY futuristic flowers to embellish your home for a party! 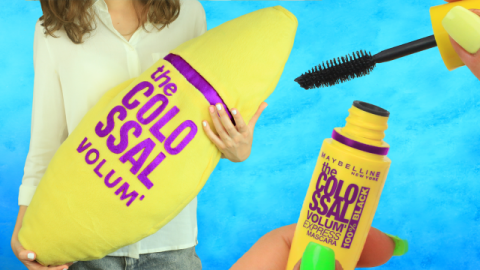 Let’s start with big tropical flowers. 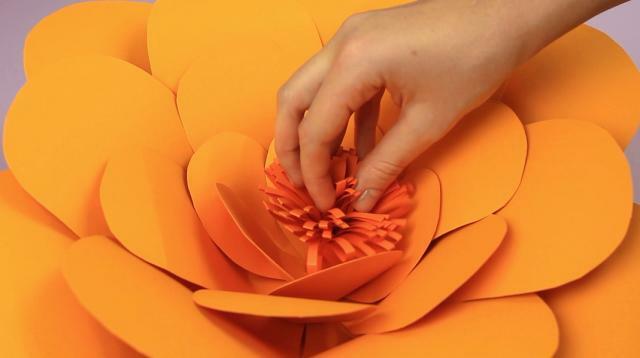 Make a petal template from white cardstock. 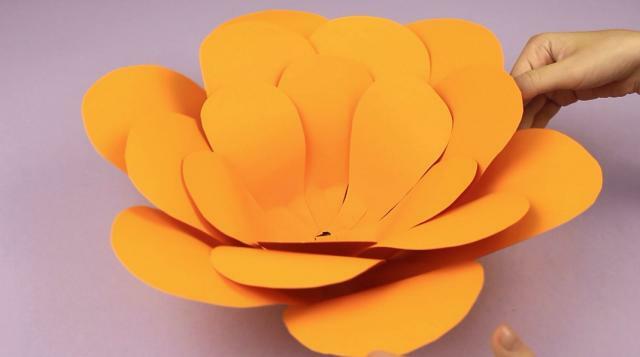 Trace the template on yellow cardboard to get 5-6 petals. 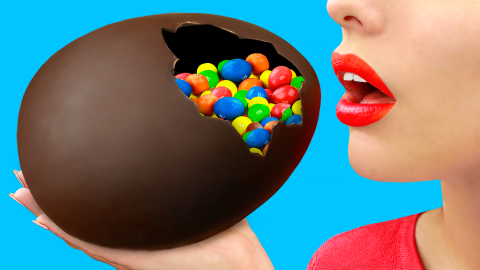 Make a cut on the bottom of the petal. Bend the wide part to make it volumetric. 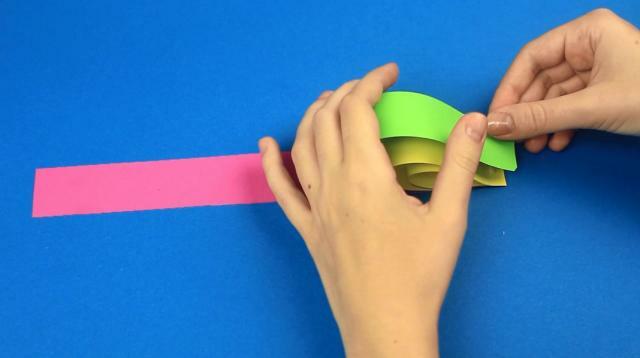 Continue creating a 3-D effect by gluing the cut sides. Assemble a flower. Add white glue to the petals to attach them overlapping. 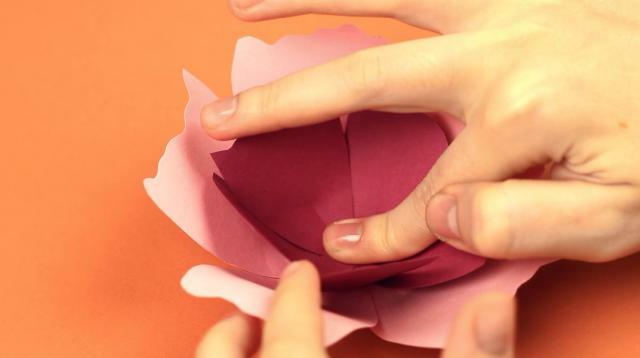 Make smaller petals for the inner row. Place the details to overlap he border between the first row petals. 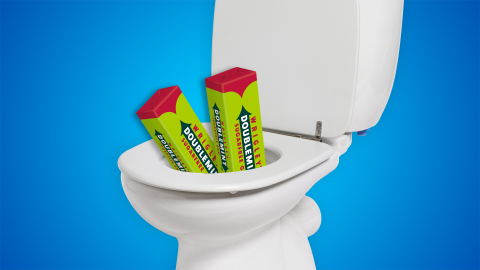 Make smaller elements for the next row. And the smallest in the last one. Let’s add a core of the flower. Fold up a square sheet in half. Make multiple cuts on the crease. Unfold and turn over to the other side. Glue the edges. Roll up. 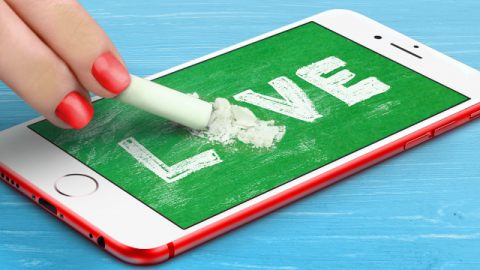 Attach the end with the white glue. Attach the core to the center of the flower using multipurpose glue. You can decorate your home for a kid birthday party with these wonderful tropical paper flowers. They can be also used for a photo shoot. Let’s make smaller flowers as a home interior decoration as well. Make the template first, let it be of different shape and size. 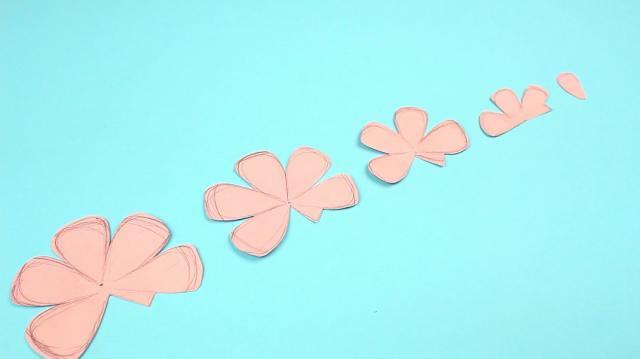 Trace the template on various color paper to get different petals. 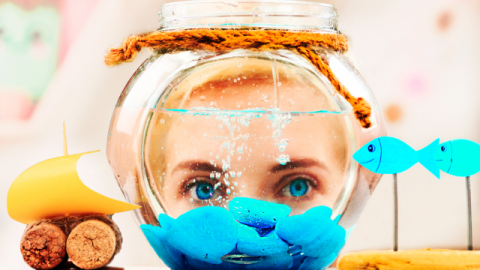 Create a 3-D effect in a way you used in the first decoration. Shape small flowers like the big ones by gluing the petals in several rows. 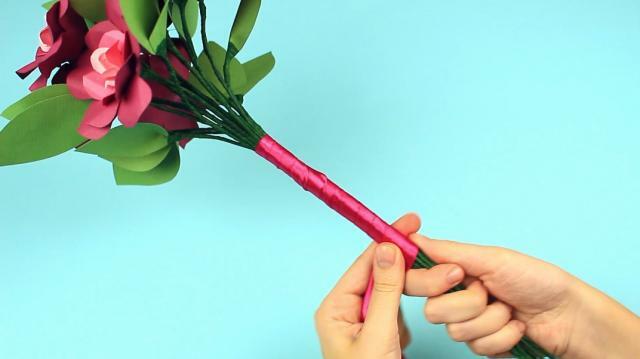 Make a flower core in the same way you did earlier. Attach the smallest petals to the core. 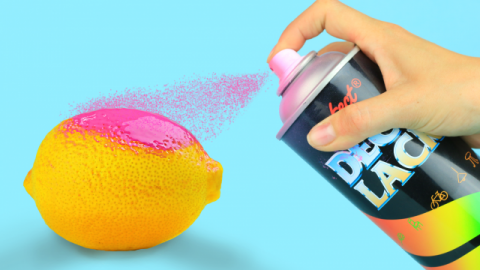 Use a hot glue gun to fasten well. You can make leaves without a template. Attach them to the flower base. 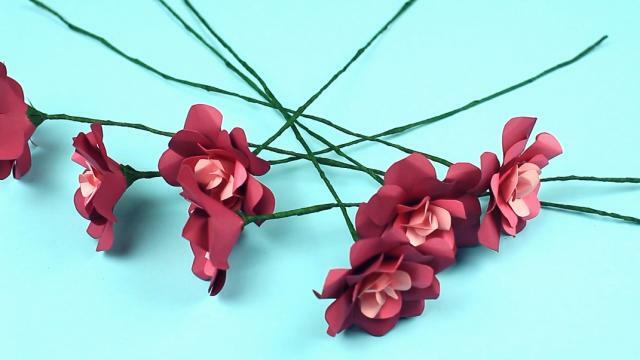 You can use the small paper flowers as a holiday table decoration or just distribute them around the room. Now let’s make a paper flower bouquet. Start with the petal template. 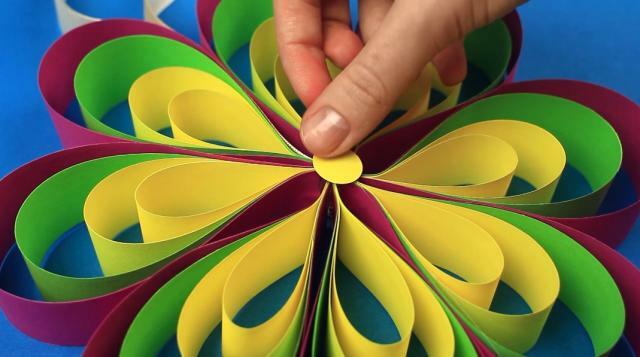 Fold up the paper accordion, trace the template on top and cut out to get several petals at once. 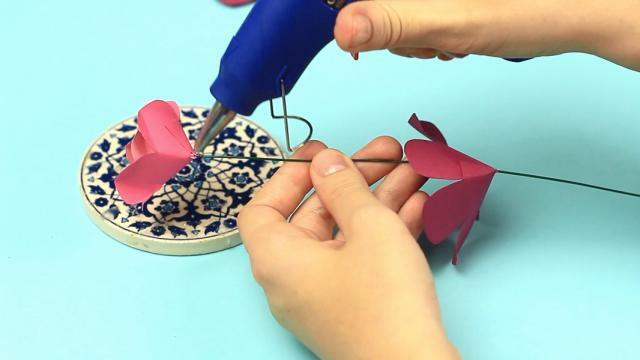 Attach the smallest petals to the floral wire using a hot glue gun. Fold up the edges. Shape the flowers using bigger petals. Thread the details on the wire starting with the smallest petals and then increasing the size. Assemble a flower. Hot glue the bottom. 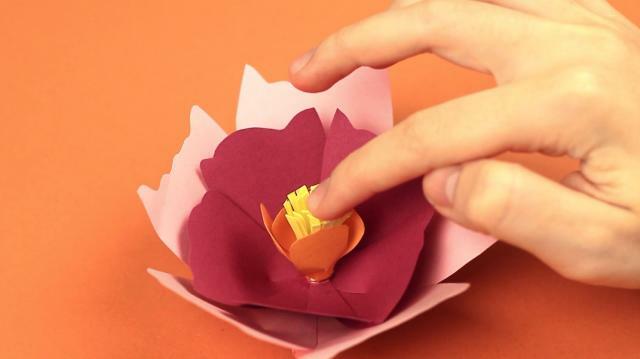 Be careful to fold up the petals to create a 3D effect. Make several roses for the bouquet. 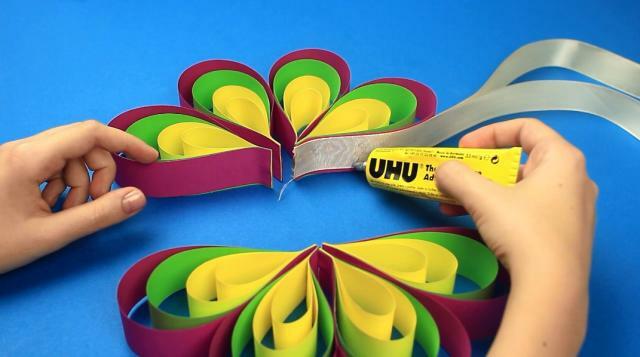 Attach a floral tape to the bottom of the flower. Wrap the stem wire with the tape to look more natural. Make some leaves from green paper. Attach to the wire and wrap with the tape. Join the flowers to form a bouquet. Hot glue the stems. Wind a ribbon around. We’ve got a fabulous paper flower bouquet. Let’s make surrealistic flowers for the finishing decoration. Prepare strips of differently sized color paper. Attach the strips one by one increasing in size. Now glue them on the other side turning over the strips to form loops. 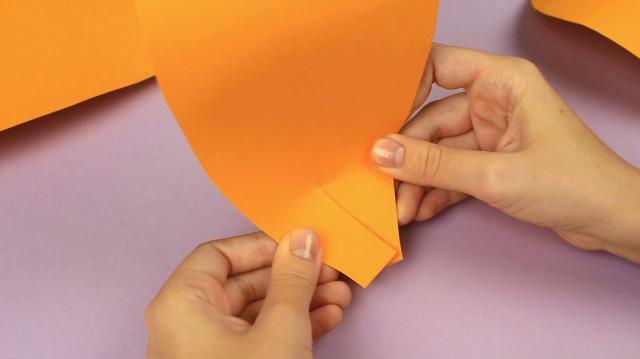 Shape a flower by placing the petals side by side. Attach the details using the white glue. Attach the satin ribbon ends with multipurpose glue. Fasten the button to the ribbon. Hot glue the center. Make some more flowers of different size and color. You can use the futuristic flowers to embellish your home for a party. 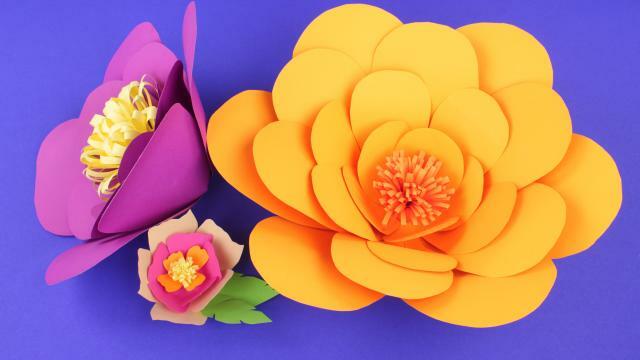 The splendid paper flower decorations are easy to make and interesting to look at in a home interior, so it will cost you nearly nothing but your guests will be impressed.